Need help please, the message below keeps popping up when I log in to my sites. 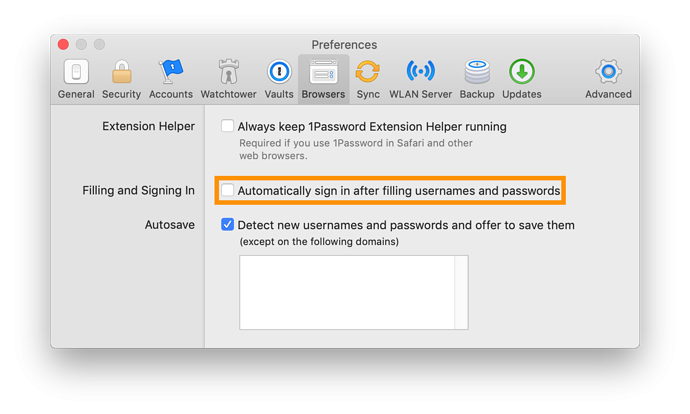 disable "Automatically sign in after filling usernames and passwords"
Due to a change by Apple, auto-submit has been disabled. You should uncheck "Automatically sign in" as @Rudy says. From now on you will need to press Return manually to submit after filling in. Annoying, but there are good reasons for the change, and after the first few days you won't notice the extra step. @bobmmor - great! Glad to hear you're up and running.